The price of our treatments is generally lower for the patients, due to our lower laboratory bills. 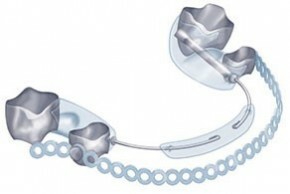 The appearance of the clear braces appliances and fixed braces is very discreet – almost invisible. All of our appliances have been rigorously tested to ensure maximum wearability and comfort. We allow the use of single appliances or a combination of treatments from our unique ‘Q Appliance Range’, resulting in more options being available to the patient than if using other similar systems. Quick straight teeth is a SHORT TERM ORTHODONTIC (STO) system for adults who declined braces when they were younger, or for patients whose teeth have moved more recently and would like a more aesthetic smile. Depending on what each individual patient needs there are a variety of options available to suit each patients lifestyle. 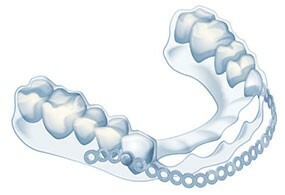 All our fixed braces ONLY use 3M Gemini Clear Brackets for their cases. These have a reliable and proven track record worldwide for their performance and beautiful aesthetics, being nearly invisible once placed in the mouth. We also use bespoke tooth coloured wires making our braces the most aesthetic compared with any similar systems available on the market today. The braces are traditionally only used on the front 6 or 8 teeth, to correct mild misalignment and give you a beautiful smile. The treatment works much like removable aligners, but tooth movement is more predictable and more than twice as quick. The braces put gentle pressure on the teeth to level and align the teeth with minimal discomfort.We do not claim to address major orthodontic issues. 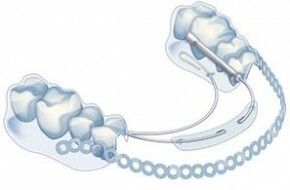 These are passed on to specialists, and therefore, with good case selection this can be done very quickly, making it more affordable than other orthodontic options.Standard orthodontic mechanics are still involved in the use of QST, but because it’s just the front teeth, the force required is minimal. The wires exert mild pressure to move the teeth, and this is done without the need for severe tightening which causes the discomfort noted in conventional orthodontic treatments. This is a 3-D printed clear aligner system…but at a fraction of the cost of other similar systems. 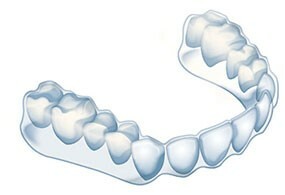 These clear aligners can be made from upper and lower impressions and are suitable for mild corrections. They are discreet, comfortable, and provide little or no disruption to speech. These are ideal for patients who would prefer not have fixed braces. This device is retained over the posterior teeth using a clear vacuum formed tray as shown. The anterior teeth are then aligned using our own technique of bonding clear buttons for use with a clear Powerchain elastic. This includes molar bands for permanent posterior retention. The Q400 has been designed for patients who want alignment of the teeth, but in whom it is recognized that compliance may be an issue. This appliance will act as an insurance policy for practitioners, as wearing the Q400 will prove that the technology works and thus exposes the lack of cumulative wear time as the real issue. No other system currently offers this option. The Q500 has in it, the best of everything that is available for anterior tooth alignment. Contained in this device is our invention – the ‘Q Spring,’ a unique fully enclosed and adjustable Ni-Ti spring capable of providing a constant, yet gentle, force to align the teeth. In other similar devices on the market, the springs are not enclosed and irritate the soft tissues and make cleaning more difficult.